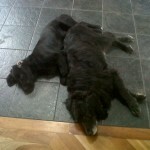 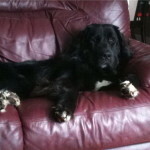 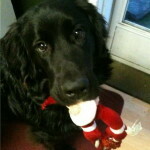 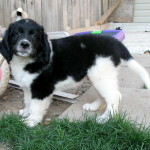 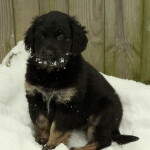 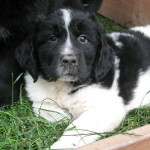 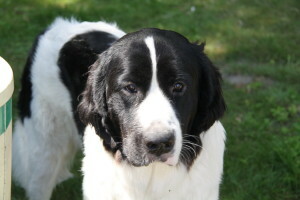 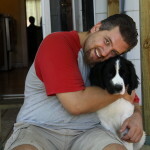 There is a lot of interest in our Newfie x Retrievers so we hope to answer most questions here. 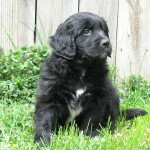 Dakota was born on June 16, 2011 and this would be her first litter. She currently weighs around 130lbs and is an amazing girl!! 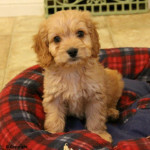 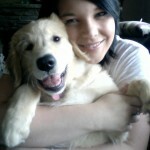 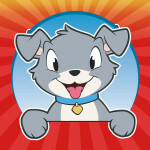 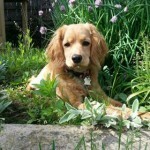 She has completed two levels of dog training and brings a lot of joy to all those who meet her. 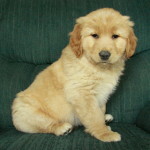 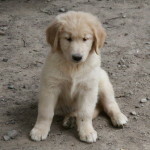 The purebred golden retriever stud is about 70-80lbs. 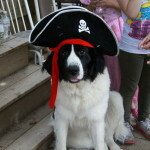 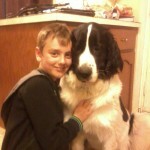 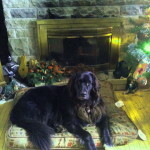 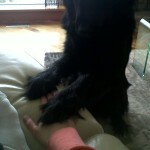 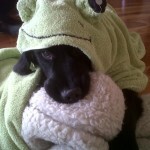 Pictured on this page are recent pictures of Dakota, plus Newfoundland x Golden Retriever puppies we have had over the years, and some even growing up sent in by the loving families. 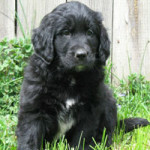 Click here for a page of Dakota’s life from 8 weeks until now. 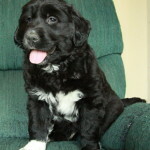 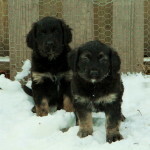 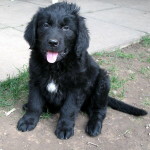 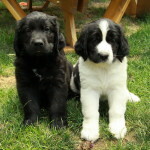 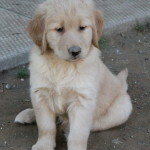 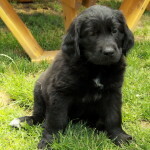 We have had lots of litters of Newfoundland x Golden Retriever puppies over the years, and they have been extremely popular due to the amazing personalities that both breeds bring together. 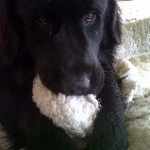 The beautiful look doesn’t hurt either, of course! 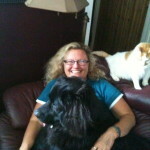 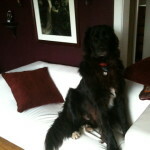 A full grown Newfie x Retriever on average tend to mature around 100lbs. 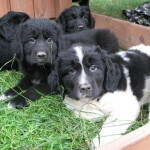 Colours of these puppies can be black and white, like Dakota, mostly black (some may have touches of white), or golden in colour. 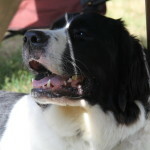 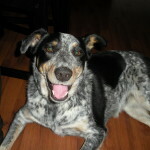 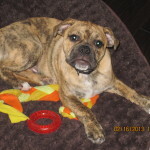 Dakota is an amazing family dog, very gentle and loving. 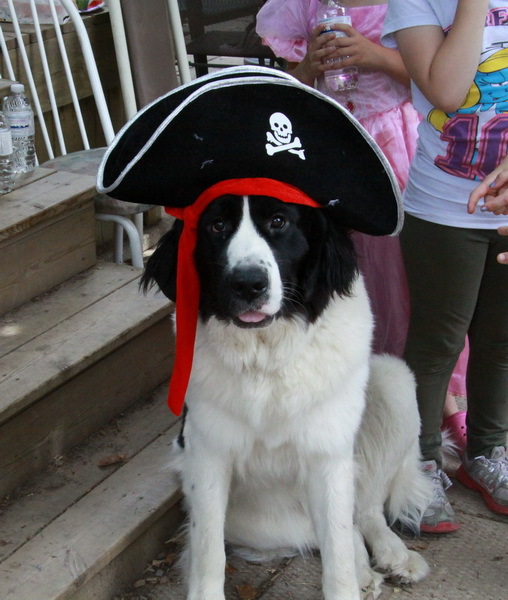 She is great with children, as evidenced by her being part of our daughter’s birthday party, with over 15 seven year old children, and being dressed up as well! 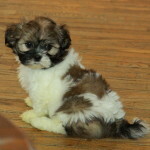 She is well mannered and easy going. 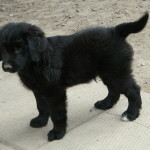 She will be on site for visitation and viewings when the time comes. 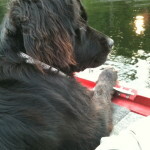 Dad will not be on site as he is a stud.